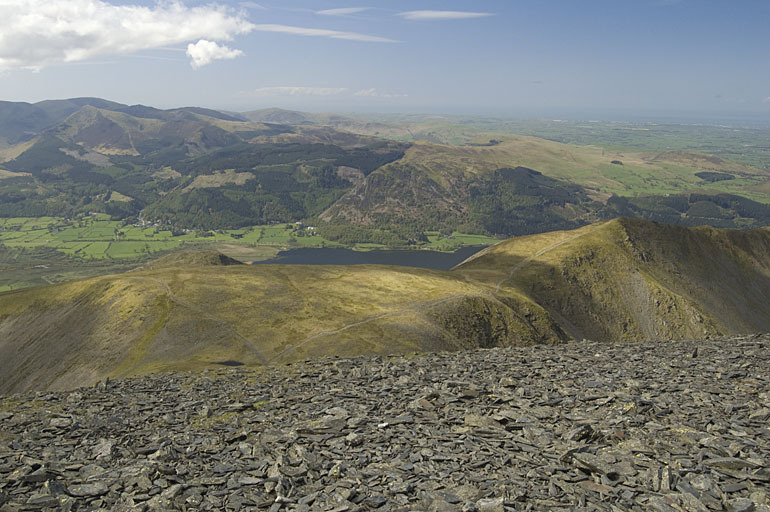 In the foreground are Carl Side with the summit of Dodd beyond; Bassenthwaite Lake; and Long Side. On the horizon are Whiteside, beyond Lord's Seat; Gavel Fell and Blake Fell, beyond Broom Fell. Smaller version of this picture.